Are you graduating mid-year 2017? As the busiest time of the year, December becomes a whirlwind of holiday preparation and festivities. You can hardly even shop without being blasted by Christmas decor and festive music, and the twinkle of Yuletide bliss shines in the eyes of all those you meet. Don’t let this holiday frenzy overshadow your collegiate accomplishments! It’s so important that you take time to acknowledge and celebrate your hard work. 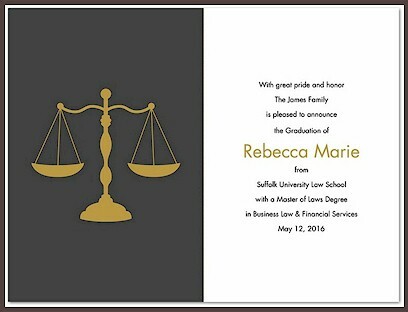 Here at Invitations4Less.com, we would love to help you find the perfect graduation invitation or announcement --- allowing you to share your achievements with family and friends in your own unique style. Graduation Announcements or Graduation Invitations? 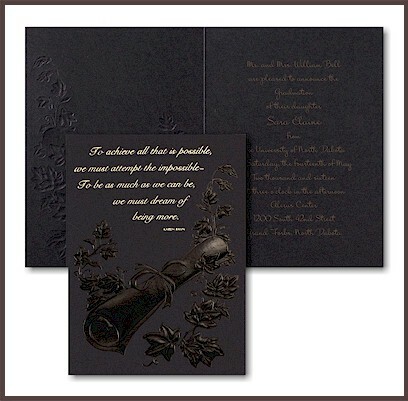 Whether you plan to host a graduation celebration and need invitations or you simply plan to announce your accomplishments, we have you covered. 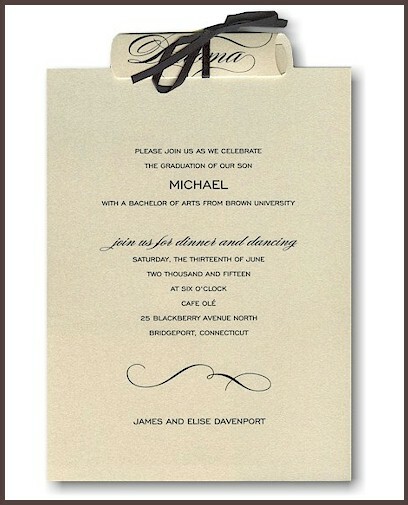 In most cases, graduation invitations should be sent two weeks before the event. 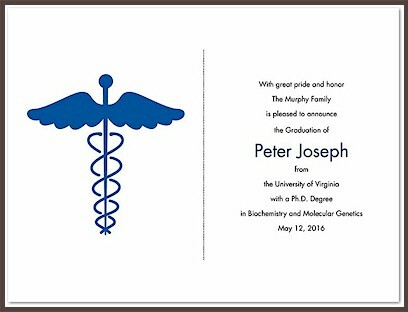 It’s important to give your recipients enough time to respond and plan for your ceremony and/or celebration (shop our large collection of graduation announcements today to get yours in time!). 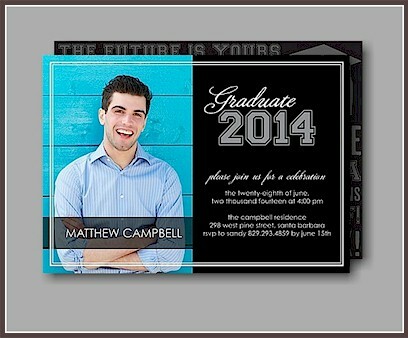 If your graduation announcement does not include an invitation, you have more time to work with. Send your announcements anytime from two weeks before to six weeks after your graduation. Your family wants to show off your accomplishments! If your parents are anything like mine, they will be overjoyed that they can call their child a college grad. That means they will want to show off your accomplishment. It takes a village to raise a child, and sending that child to college requires even more teamwork. Your success is their success, too. Share your joy with your family with your graduation announcement. Your friends and extended family want to know what you’re up to. While many of your close friends and family will know the details of your graduation without a formal invitation or announcement, distant relatives and some of your more casual friends may not. Even if they aren’t your besties, people in your life appreciate being in the know. Graduation announcements make great keepsakes. Scrapbooks, photo books and albums, wall collages, and memory boxes are all great resting places for your graduation announcement or invitation. Just think about the day when your children want to learn more about your childhood --- you want them to be able to understand how highly you value your education! Keep with tradition and send your graduation announcement in the mail. As with many formalities, tradition is important! While sharing your graduation announcement on Facebook is great, there’s something special about a beautiful paper announcement arriving in the mailbox. And, think of your grandma Pearl who doesn’t even own a computer --- she wants to share in your joy, too! 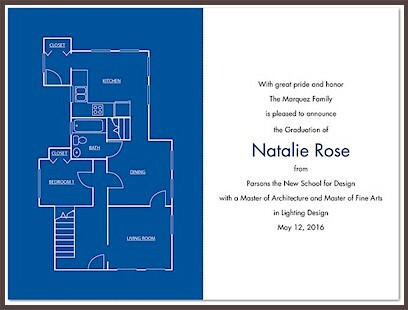 Sending a graduation announcement is a great way to thank your friends and family for their support over the years. Including a handwritten note on some stylish stationery will absolutely make their day and communicate your sincere gratitude. 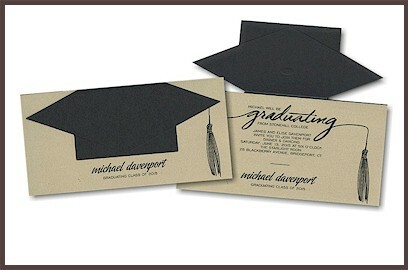 Whether you plan to send graduation invitations or announcements, look no further. We have a wide-ranging collection of both. For more information on any of the products featured in this post, please Contact Us for assistance. We’d love to help you find the perfect fit for your celebration. 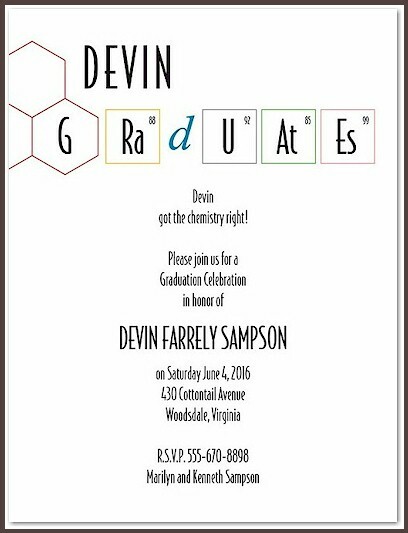 Otherwise, shop away --- you still have time to order your graduation invitations in time for family and friends!